That line from National Rail is the only place that suggests a full week of closures after 18th November - all the other sources (the timetable, GWR, and Network Rail) say it's only the weekend. So I guess it's just carelessness - the head of that item gives: Start date 27/10/2018, End date 25/11/2018; arguably that's correct. But as the closure and RRB aren't continuous, it's probably a mistake to put them in one item, especially as that set of data is meant to be looked up by date. "Buses replace trains between Bristol Temple Meads and Bristol Parkway / Severn Beach from Saturday 27 October until Sunday 25 November"
"Buses replace trains between Bristol Temple Meads and Bristol Parkway / Severn Beach from Saturday 27 October on most days until Sunday 25 November"
or (as has been suggested) splitting into two date sets. Well let's hope so; traffic this morning was astonishingly bad. 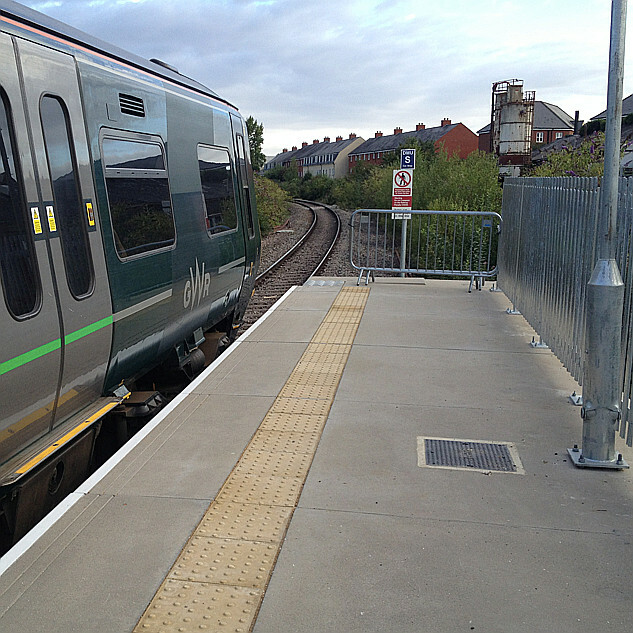 Latest twittage shows new 75mph points at Horfield looking fairly complete. We're half way through our 3-week upgrade in the Bristol area and are making good progress. Latest twittage shows new 75mph points at Horfiled looking fairly complete. Looking good! 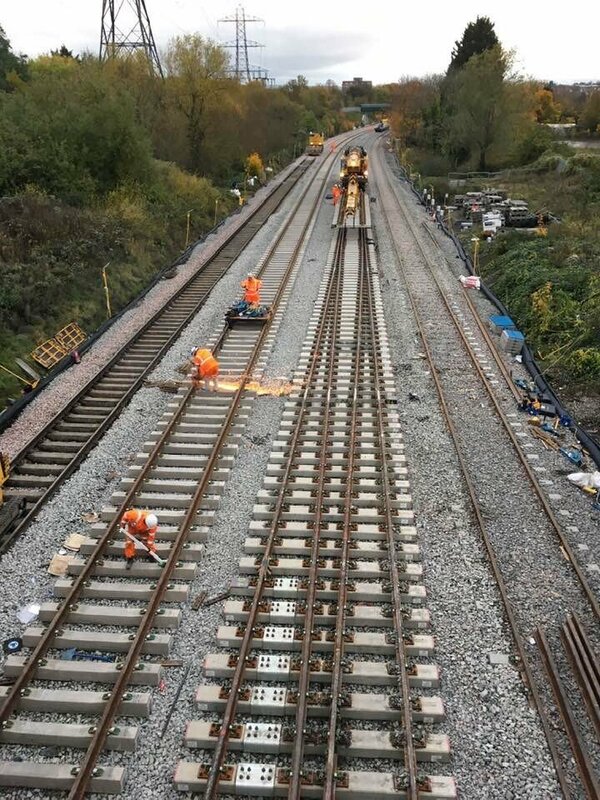 It says on their feed that "We've now completed the installation of complex crossovers in the Horfield area that enable trains to switch tracks"
I'm sure the rain makes it worse, as does the rolling water main replacement programme, but it was pretty awful yesterday without the rain. I'd be interested to know what proportion of the scores of schoolkids who normally use the Severed Beach line are being driven to school instead by long-suffering parents. Does anyone on here have experience of the RRB from BRI to CFN at around 8am? Hi I was on Constable Road Bridge earlier and there were about 60 people working on the tracks between the footbridge to the south and the next road bridge toward Bristol Parkway. There was a tamper unit working on one line directly under the bridge and a Class 66 with a trainload of something about half a mile up. One gang were installing a signal with a feather arm and other gangs appeared to be doing everything from signal coms, to points. Looked very well organised. Fourth pic shows very southern end, as the final connection to the Down relief is on the south side of the bridge! Hard to miss the first big change, which is the installation of the new signal gantry mentioned on the latest NR twitter feed! Yeah there was a huge ballast train on what will be the new Up main when I got to Constable Rd, obliterating most of the view to Bonnington Walk. Thankfully after about 10 minutes it slowly started on it's way south (on the up line!) so I could finally see the trackwork. There was another parked across Station Rd bridge by FIT as I drove back home after, so think they must be running them pretty much continuously to try and keep up!